The Alberta Band Association offers a number of different of honour band experiences for students in junior and senior high. The Alberta Junior Honour Bands provide an advanced performance experience for those students who demonstrate excellence in leadership, musicality and engagement in their home junior high band programs. Leading music educators in the province guide the students through three days of fun and intensive rehearsals. The experience culminates in a concert performance that the students have prepared in rehearsal. 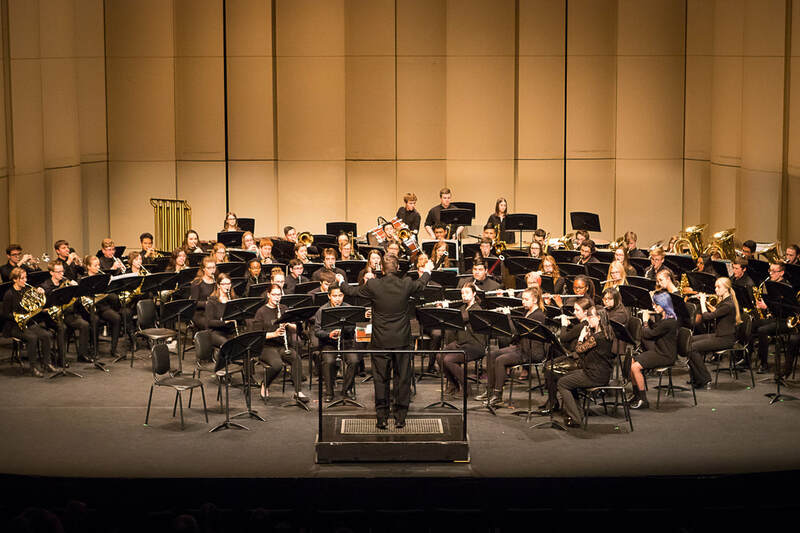 The Alberta Wind Symphony provides outstanding high school band students from across the province the opportunity to work with some of the finest concert band educations recognized both nationally and internationally, grow musically and meet other musically vibrant instrumentalists. New this year, the Alberta Honour Jazz Band is an auditioned ensemble for talents high school aged musicians. Students will work under the leadership of North America's most outstanding jazz educators and hone their skills in improvisation and jazz styles playing alongside other enthusiastic music students. The deadline to submit recommendations for Junior Honour Bands is November 22, 2018. The deadline to submit recommendations for Alberta Wind Symphony is May 3, 2019. The deadline to submit auditions for the Alberta Honour Jazz Band is May 3, 2019.